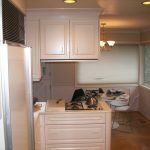 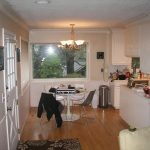 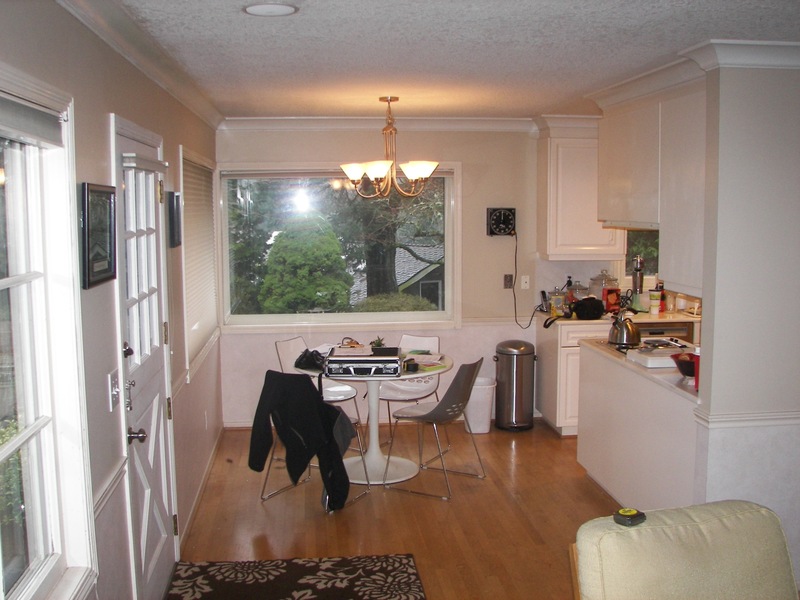 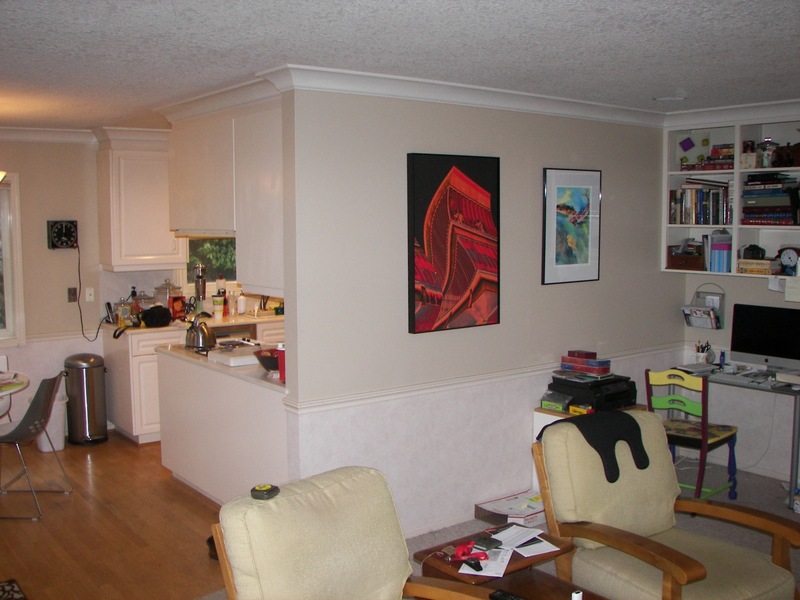 There were walls removed to open up the kitchen and make it a Great Room! 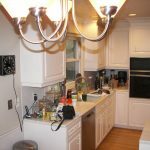 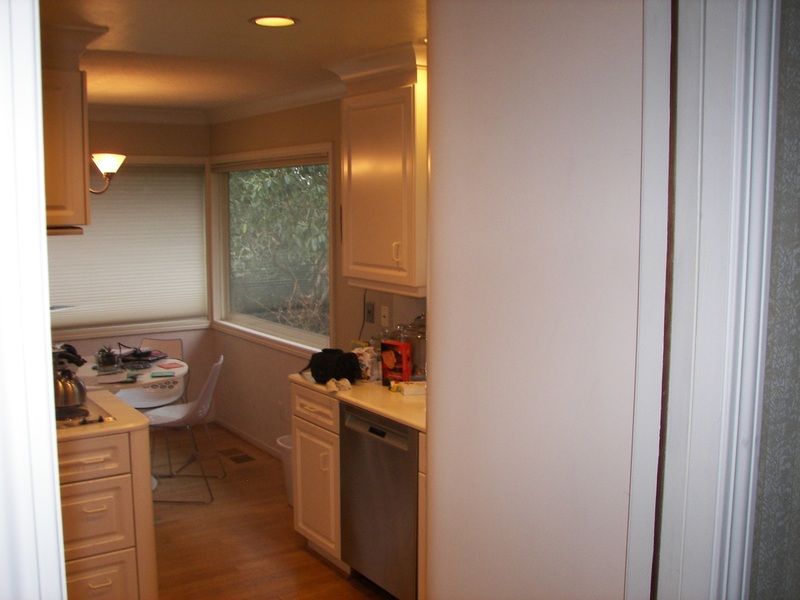 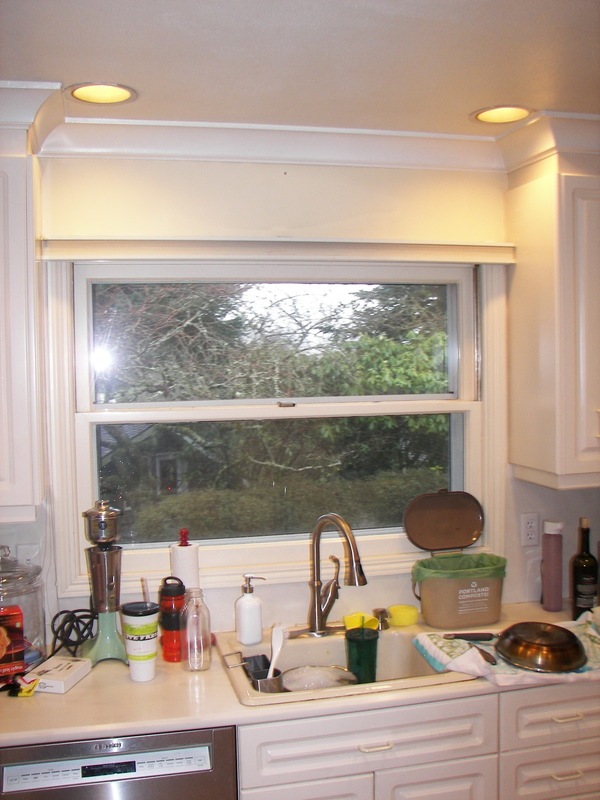 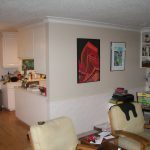 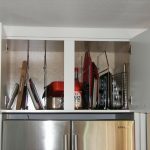 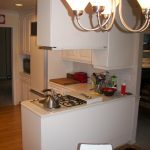 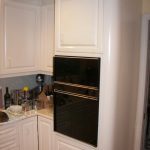 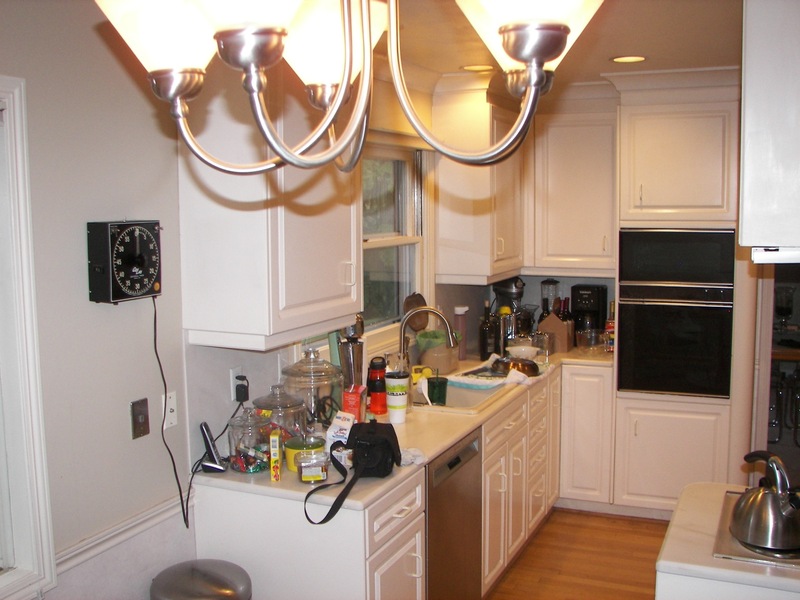 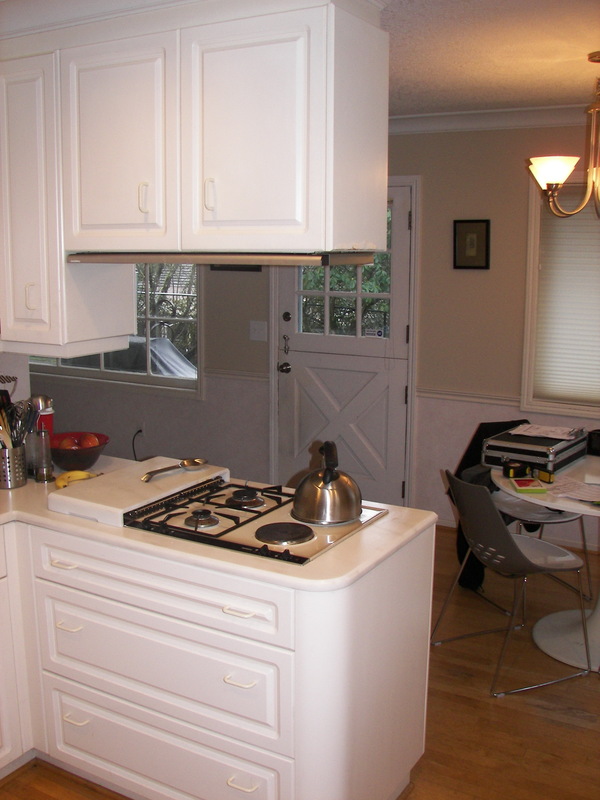 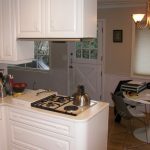 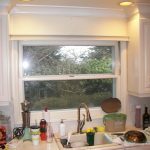 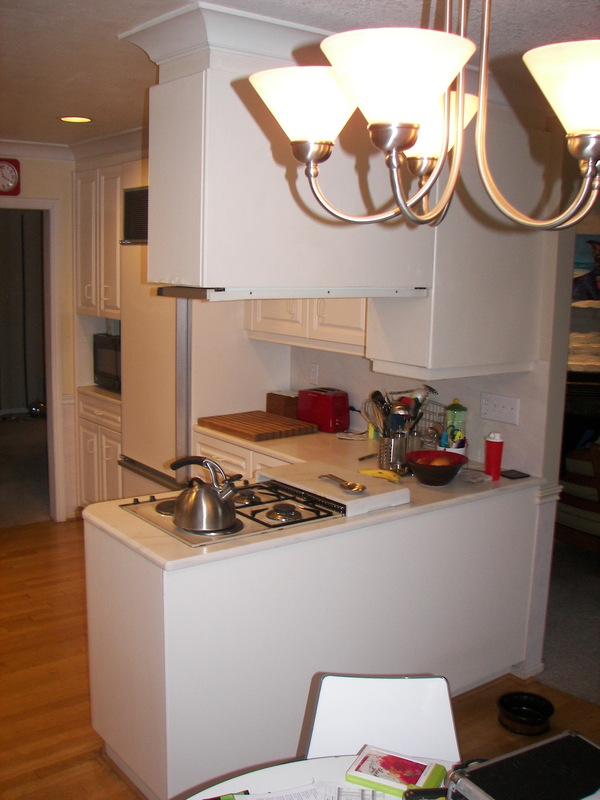 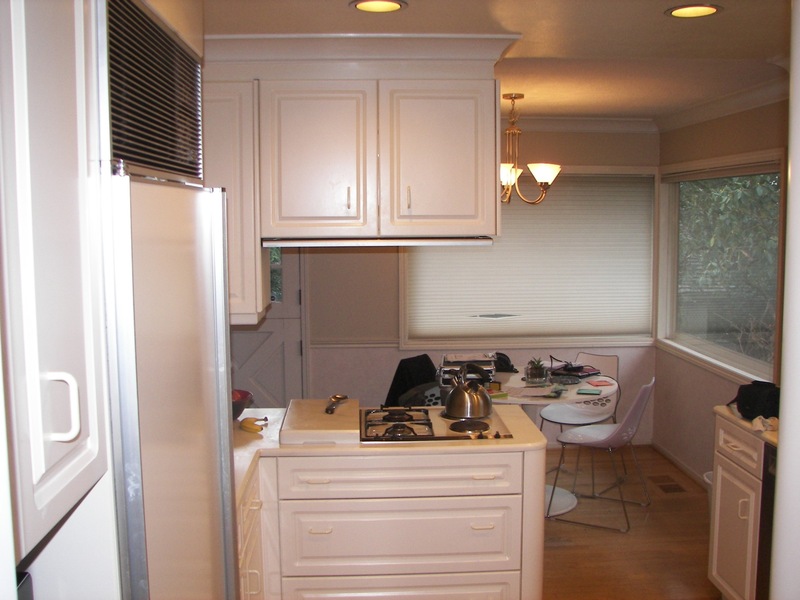 We changed this from a very cramped kitchen, to a amazingly open kitchen! 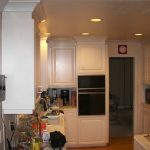 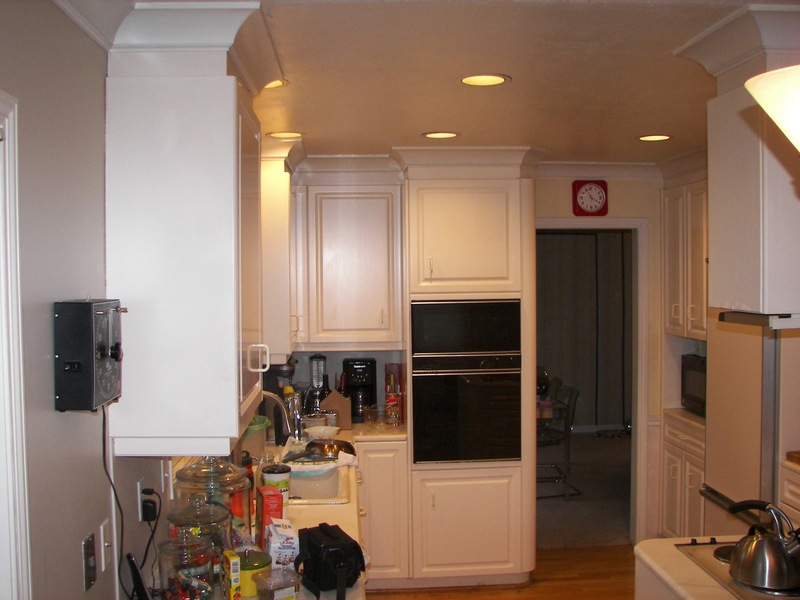 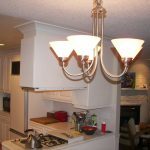 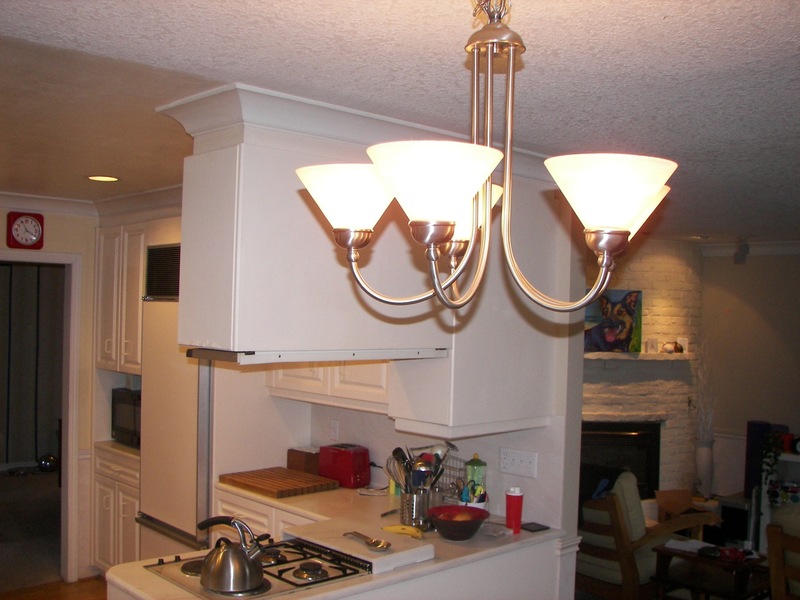 We did take all of the cabinets to the ceiling with a simple straight crown! 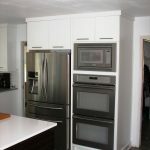 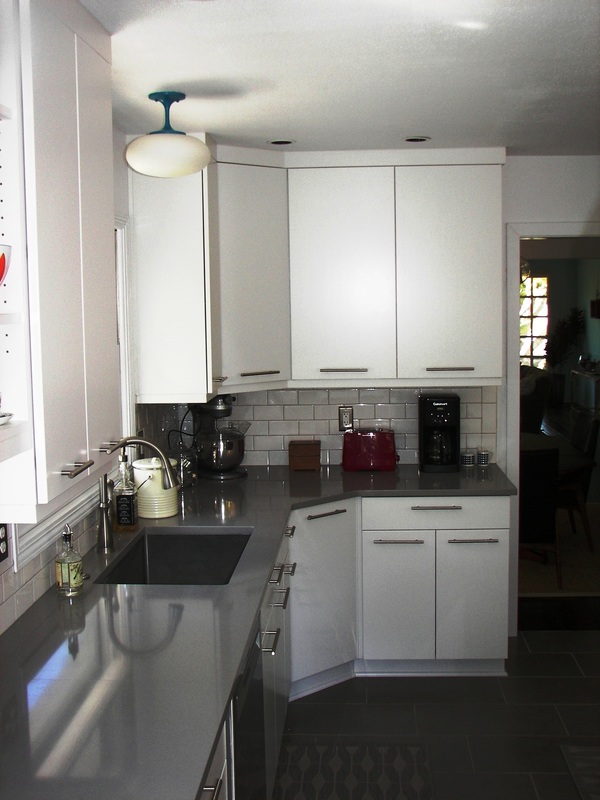 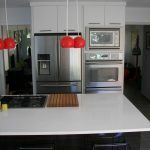 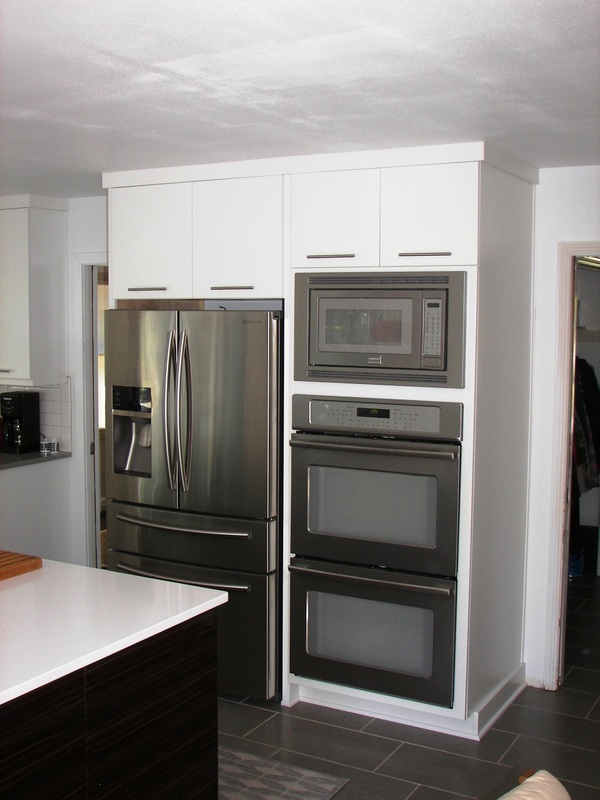 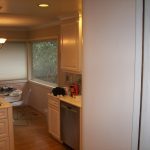 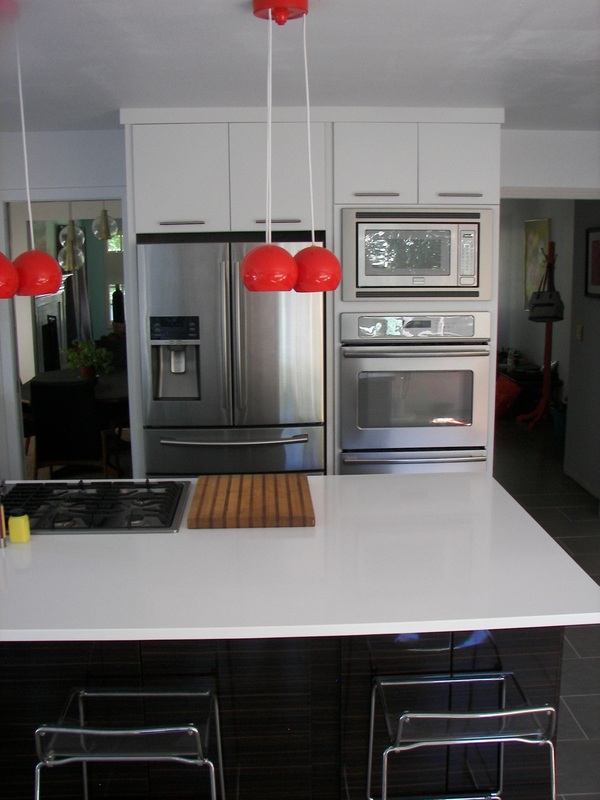 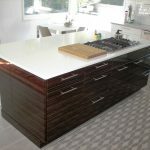 The perimeter of the Kitchen are a White White Painted Slab Door for a very modern and clean look! 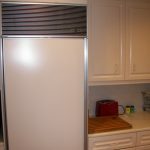 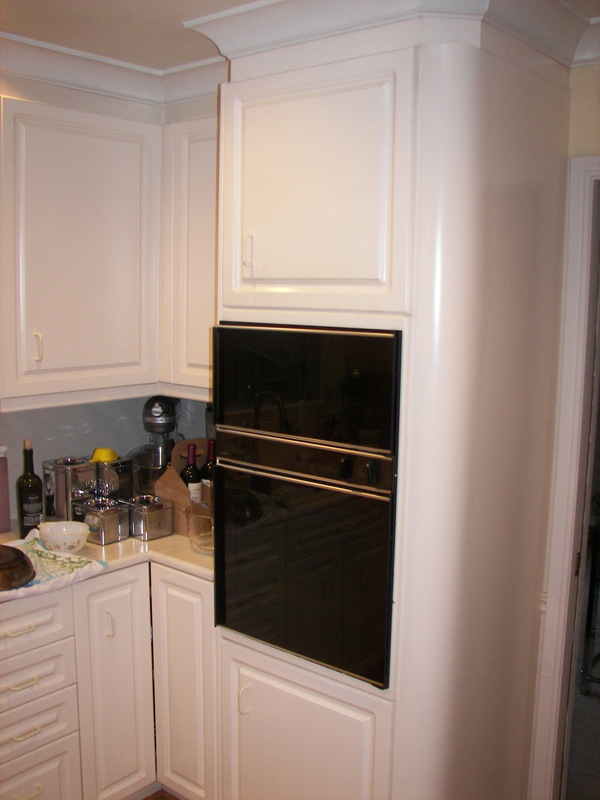 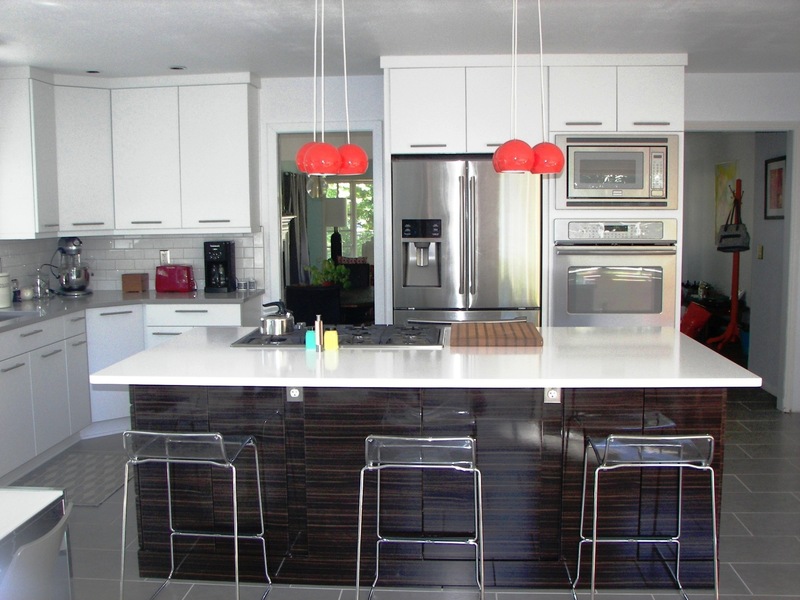 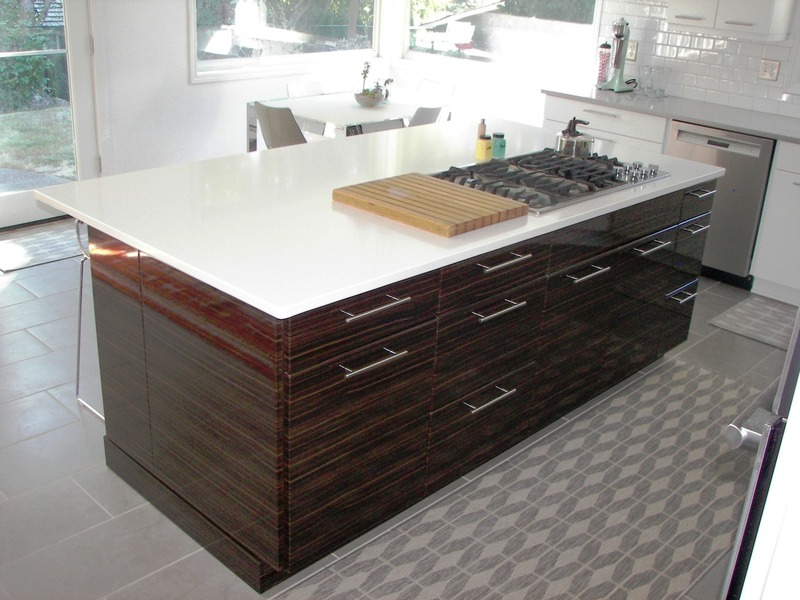 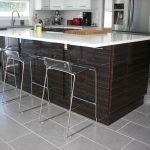 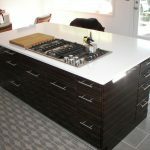 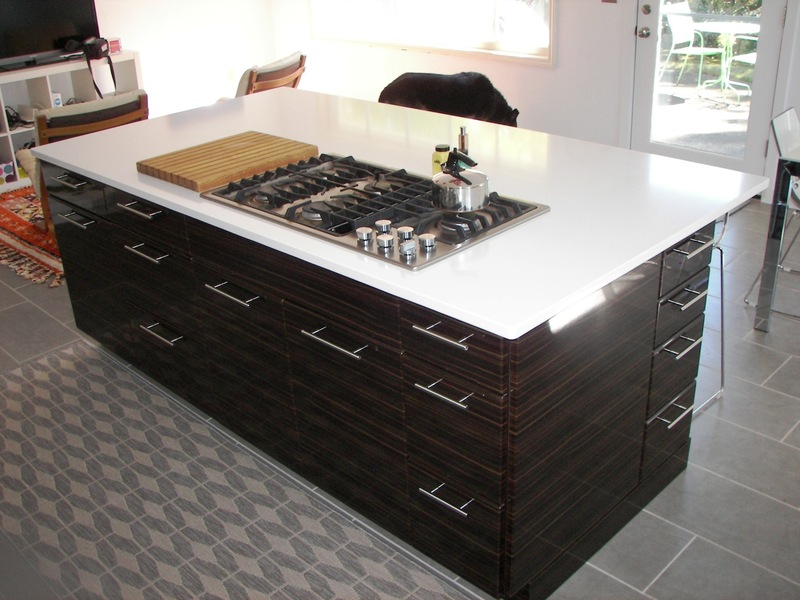 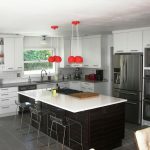 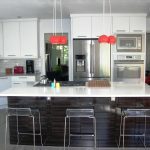 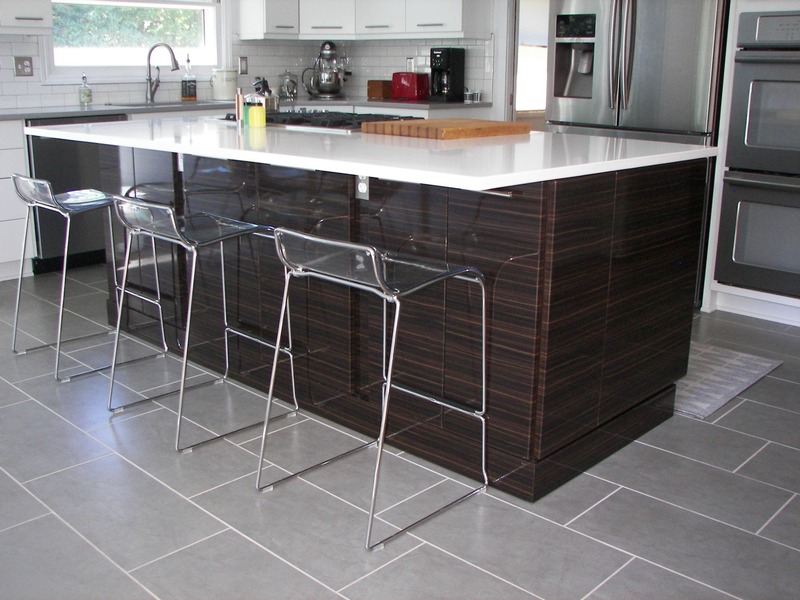 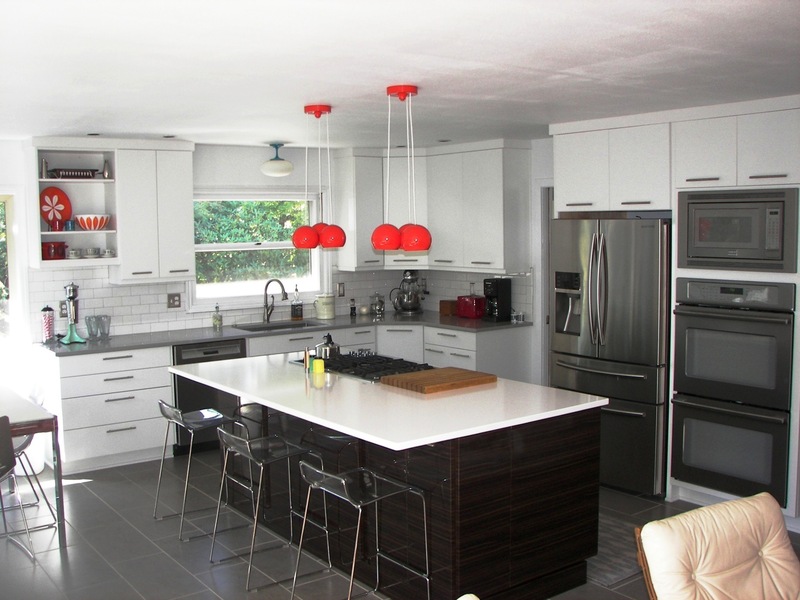 The island is a Foil Wood grain cabinet to keep with that modern look. 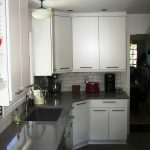 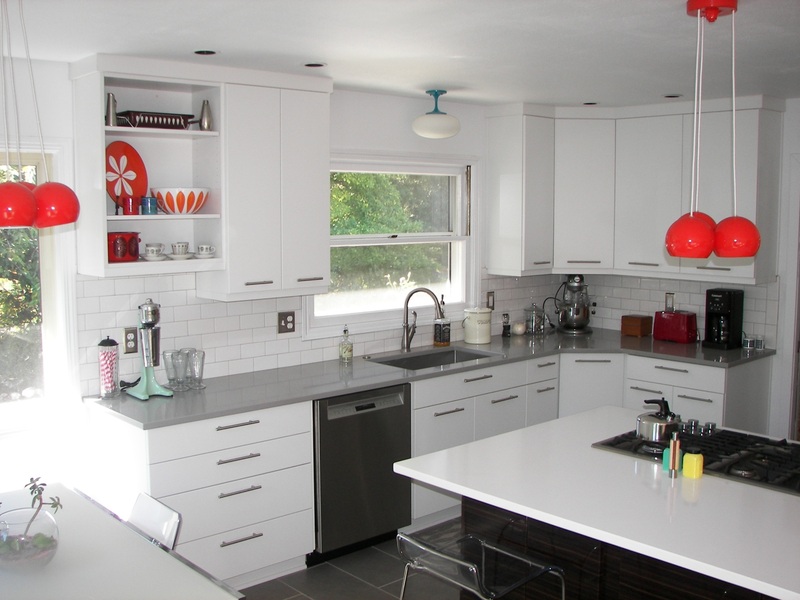 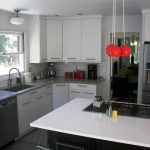 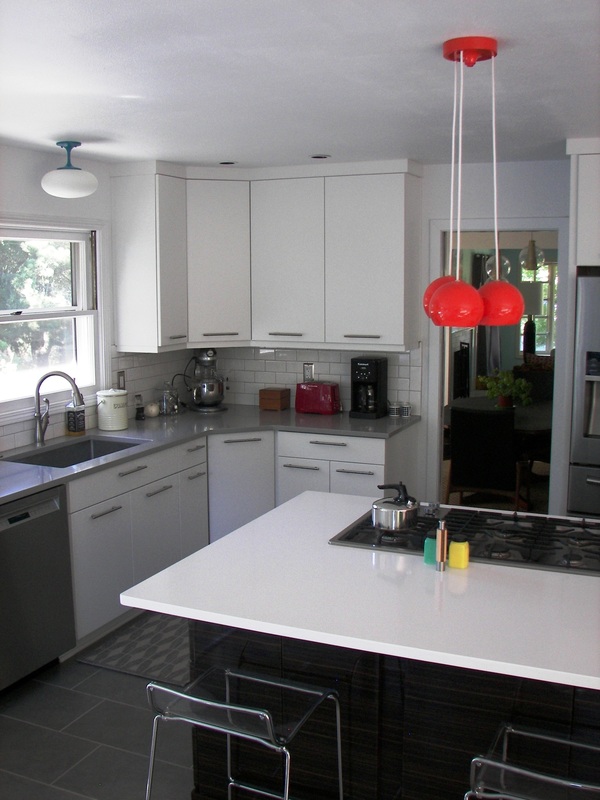 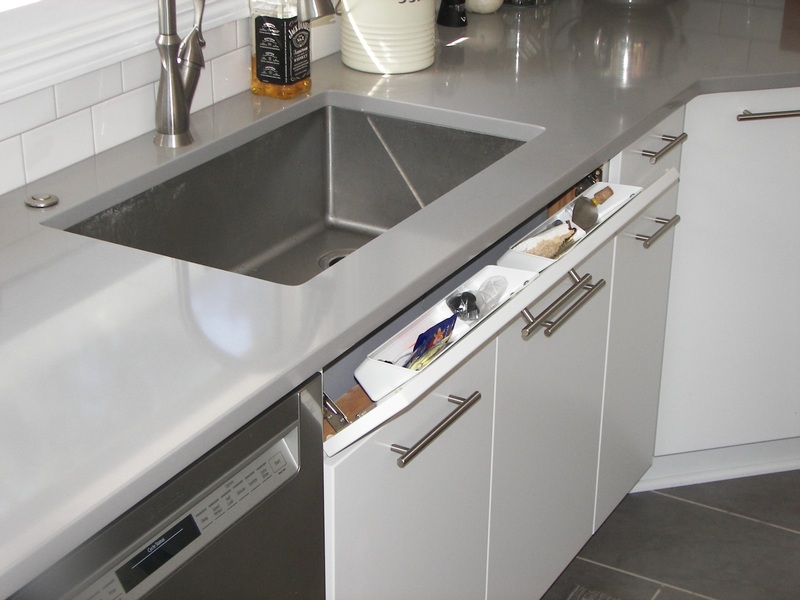 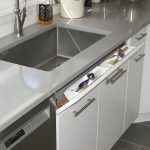 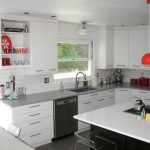 The counter top is Pental Quartz Super White Polished with a composite sink. 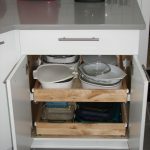 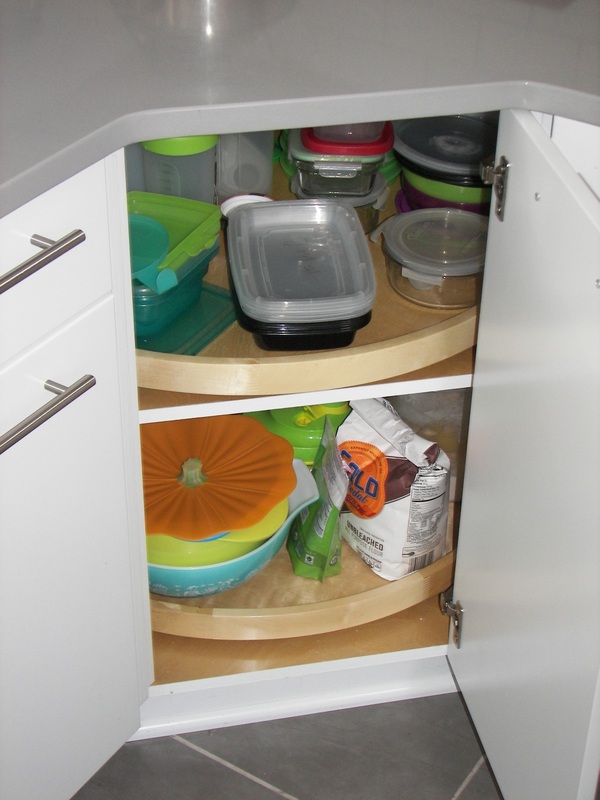 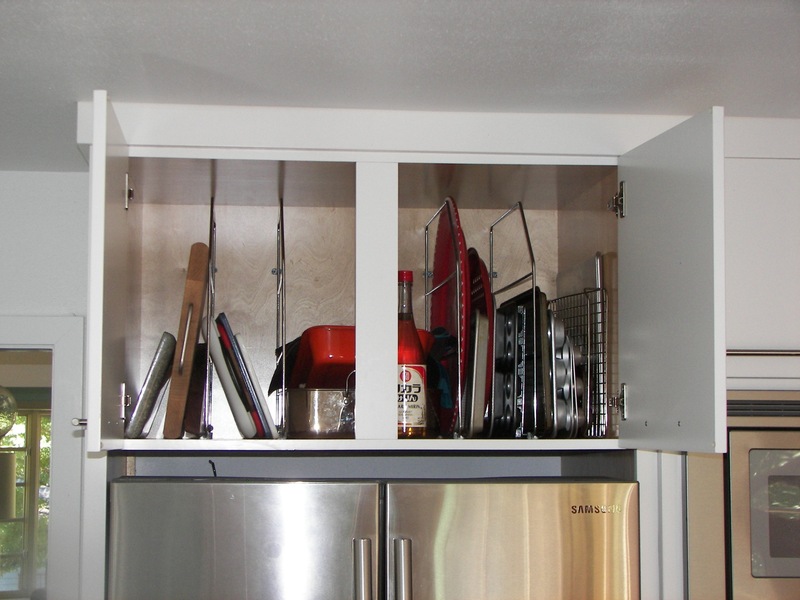 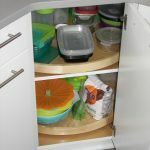 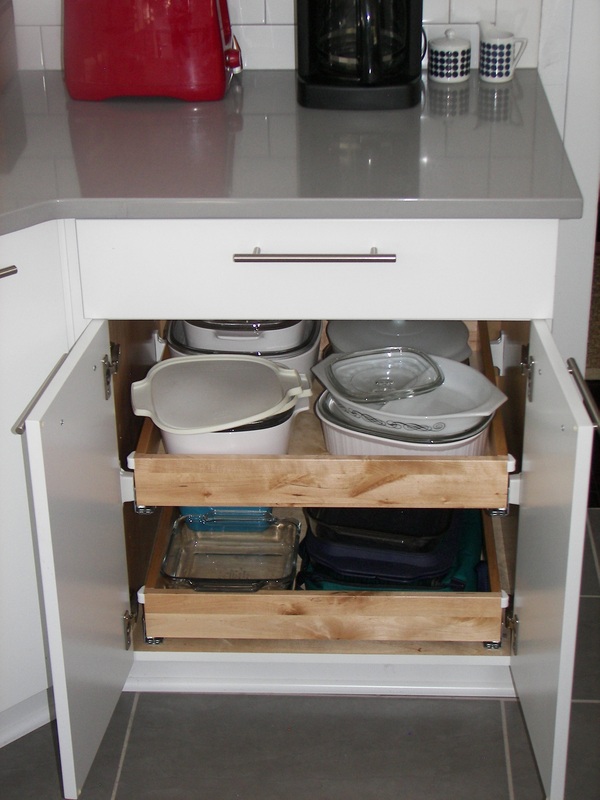 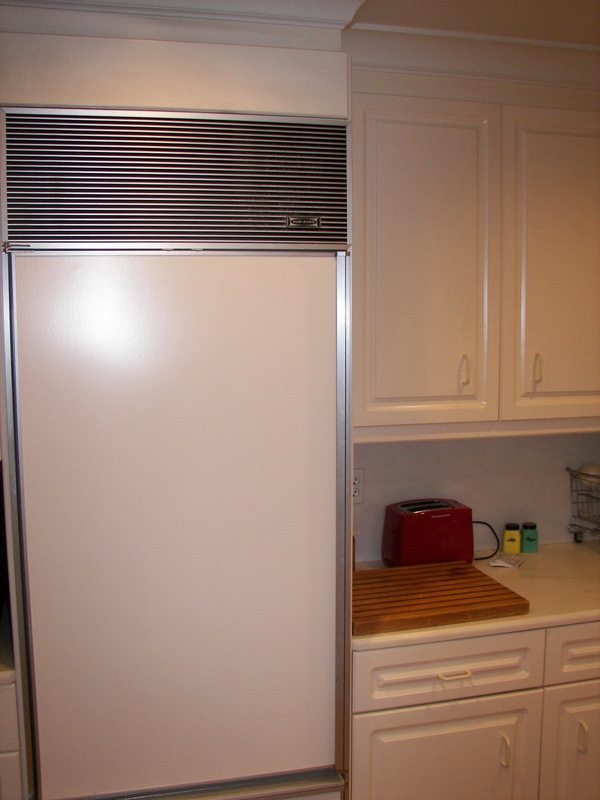 We added cookie sheet storage above the refer, roll outs, a tilt out tray, etc.